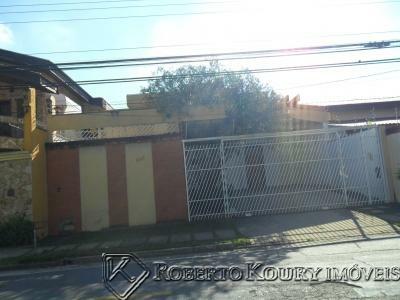 OTIMA CASA RESIDENCIAL/COMERCIAL, EXCELENTE LOCALIZAÇÃO COM PISCINA REFORMADA, CHURRASQUEIRA, 01 WC EXTERNO, QUARTO DE DESPEJO, SALA COM LAREIRA,COZINHA AMPLA COM ARMARIOS + COPA, DESPENSA, LAVANDERIA COBERTA COM ARMÁRIOS, DEP. DE EMPREGADA COMPLETA, WC SOCIAL, SALA DE TV, SALA DE JANTAR, SALA COM VARANDA, 3 SUITES SENDO 01 MASTER COM CLOSET E BANHEIRA + 2 SUITES COM ARMÁRIOS, TODAS COM SACADA. 04 VAGAS DE GARAGEM SENDO 03 COBERTAS.